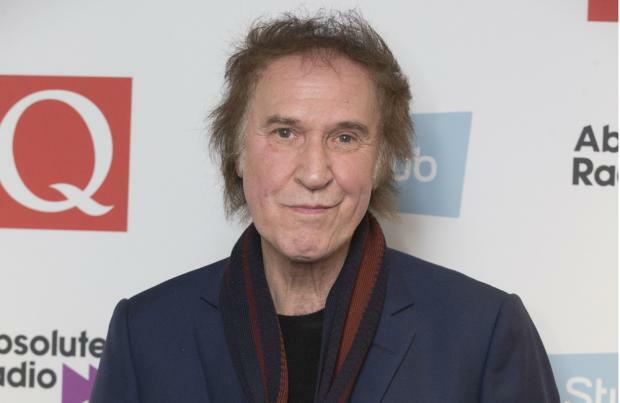 Sir Ray Davies is to headline BBC Proms in the Park. The Kinks legend will perform at London's Hyde Park along with the likes of Elaine Paige, Gilbert O'Sullivan and 90s pop groups Steps and Texas. The 72-year-old rock veteran - who is set to release new solo album 'Americana' later this year - will lead a full orchestra and chorus in renditions of The Kinks hits including 'Sunny Afternoon', 'Lola' and 'Waterloo Sunset'. Proms in the Park is Britain's largest outdoor classical music event and Michael Ball, 54, will be returning to the stage to lead the festivities following the death of Sir Terry Wogan. Sir Bryn Terfel, 51, will also be making an appearance at the festival for the third time in his career. He said: "It seems like just yesterday that I last performed at Hyde Park. "14 years may have passed but my excitement at appearing at this iconic event certainly has not.
" I am so looking forward to being reunited with the fabulous 'Proms in the Park' audience and performing for them once again - a truly special honour." BBC Radio 2 presenter Elaine will be celebrating musical theatre at the festival and said she is delighted to be performing. She said: "I'm delighted to be performing at this year's BBC Proms in the Park. "It's always such an exciting event to attend as an audience member but as a performer, singing in front of that huge crowd in Hyde Park is thrilling. I can't wait!" Formed in 1997, Steps rose to fame with hits 'Tragedy' and 'One for Sorrow' and have recently reformed this year. Steps singer Claire Richards, 39, said: "We couldn't be more excited to perform at this year's BBC 'Proms in the Park'. "We have such incredible memories of playing in Hyde Park from the start of our career and it'll be such a buzz being back there. "Huge thanks to Radio 2 and the BBC Proms for all their support and for inviting us to be part of such a great line-up." BBC Proms in the Park will be held on September 9 in Hyde Park, London.